Mameshiba, a character created by Dentsu, Japan’s largest marketing agency, was created in 2008. The range of characters has now grown to over 25 and has guaranteed Dentsu a successful franchise for the brand. The success of Mameshiba is a very welcome surprise. The characters have a quirky tone and family-friendly message that appeals to children and adults alike. Each individual character has a distinct personality and trivia message, making them a great collectible product at a reasonable price point. 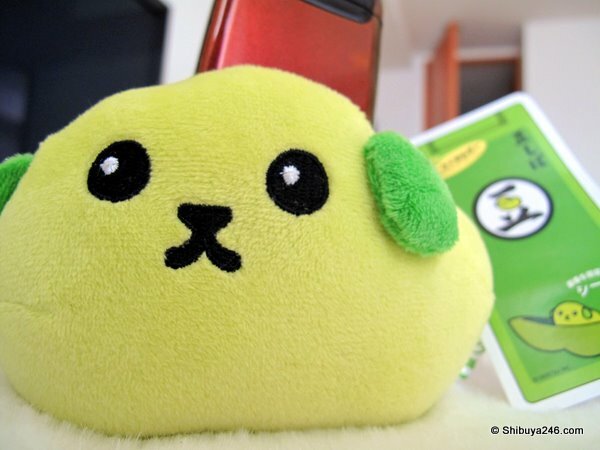 People are clearly connecting with the Mameshiba family of characters, and all indicators are there to suggest they will be popular in English-speaking markets as well. Sales of Mameshiba products reached USD$30 million in 2008 and 2009 looks strong as well. 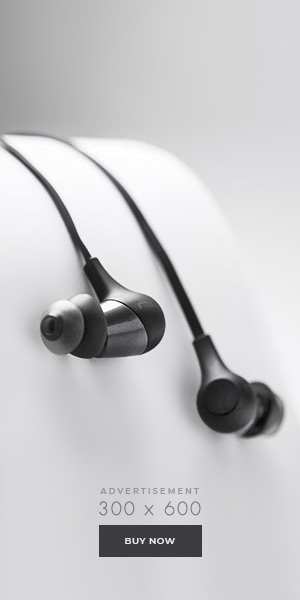 If Mameshiba is succesful overseas it wont be long before sales hit $100 million. For a simple character idea and the power of Dentsu promoting, this is certainly a reminder of how powerful character goods can be. 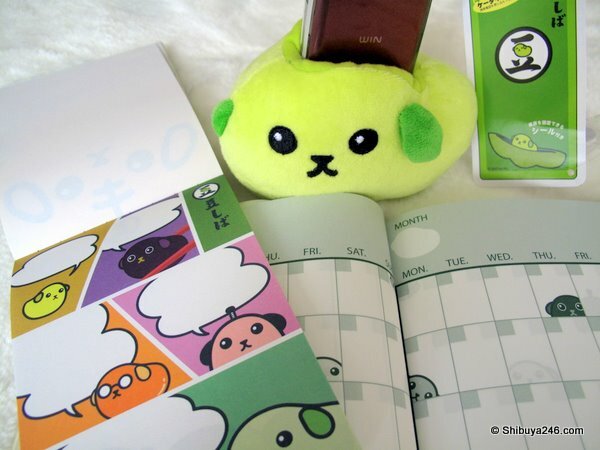 The website (via Yahoo store) From-Japan-With-Love is selling some mameshiba goods online. I haven’t personally used this store but would be interested in feedback from anyone who has. I definitely think that Mameshiba has the ability and the appeal to be as popular as Kitty, abroad. Haha. Love these little bits of trivia. I'd seen it once before at a game center in Tokyo playing on some monitor. The characters are pretty weird though and somewhat childish – do you really think they'll be able to catch on abroad? time will tell. They took off quickly in Japan. It looks like a product that kids find cute and the parents buy them because they dont cost too much. lots of small buying leads to big bucks!!! Very true, Ryan. Time will tell. It is hard to know what will be a hit and what will flop. I don't see why Mameshiba can't be mildly popular. I'd buy the products for myself. I mean even adult American women adore Hello Kitty so Mameshiba will make some impression….Though for some reason that I can't explain, I feel that Mameshiba will have greater appeal in Europe. I am sure there will be future spoofs on this character too – such as the cute little bean pops out, but it says a vulgar yet funny remark or something of the sort. …I think Mameshiba will attract those who are anti-Hello Kitty. 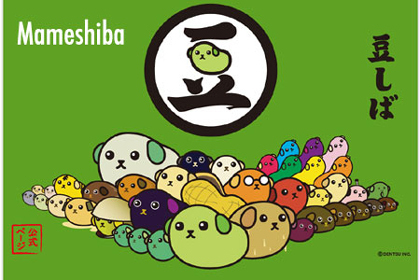 I just hope those same Sanrio fans don't jump on the bandwagon and exploit Mameshiba….heh. Thanks for news and store link.